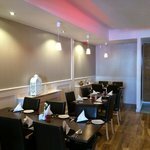 Description: Award winning restaurant serving the best in traditional indian cuisine with a contemporary twist with excellent service to match. 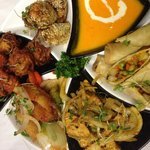 We have a great range of early bird and special deals all year round. 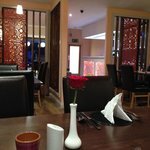 Had a great friend over from Brum in UK who has vast experience of curry's and together we had a fantastic meal out in this restaurant. My veggie pakoras were beautifully dry yet moist and very tasty but the Balti with lamb was the best I have ever had due to the superlative sauce: I was raving about it so much that a lady on another table to my left asked me what I had chosen and based on my delighted description of the Balti, that's what she then ordered herself. 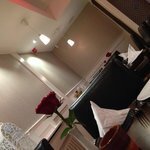 Nice surroundings and curry's to die for. I will def be back and have already notified my mates about this place. 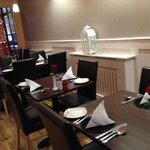 I visited this Indian restaurant following a good critic from The Belfast Telegraph. Cinnamon is the Indian of choice in our house and the food quality is always very good. The restaurant staff are friendly and helpful. The app is also very easy to use. However, tonight when we decided to order and have the food delivered, I clearly wasn’t quick enough to reach my door as the delivery driver thought I hadn’t heard the doorbell the two times he had already rang it and deemed it necessary to ring it again. When I opened the door, I also received a lecture on how to use my outside light as apparently the driver couldn’t see to get to our house in the dark (he found the door and the doorbell though). I pointed out that we have an eight week old baby in the house who was sleeping at the time and that repeatedly ringing the doorbell wasn’t helpful. No apology later, I was reminded about the outside light being helpful. I told the driver to keep the change and go away. I phoned cinnamon and spoke with the restaurant manager who was extremely apologetic and advised he would deal with the matter and driver later. For what was meant to have been a relaxed quiet night in, ended in two frustrated parents and one woken baby. The food however was great as always. 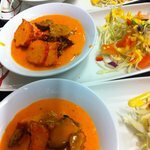 No complaints with the food only the delivery which is the reasoning behind only 4 stars. I would recommend either dining in or collection of your order. Been to Cinnamon? Share your experiences!